Need to cull the clutter in your home? But aren’t prepared to throw anything away? Fortunately, there are many of ways of creatively storing away these belongings without having to sweep them under the rug. Stop buying new cabinets, chests of drawers and sideboards that are taking up valuable floor space. There are many ways of using vertical space such as wall mounted cabinets, shelves, hooks, pinboards and even ceiling hanging storage. Changing the way you store things from horizontal to vertical can also save space. Consider chairs, tables and desks that fold up like ironing boards and can be placed against a wall or in a cupboard when not used. Consider storing your bike vertically instead of horizontally with a wall rack. If you have a home with stairs, you may already have a cupboard under there that you use to store away the occasional bit of clutter. However this space may be bigger than you realise and could be converted into a more practical storage space. You could insert drawer runners and fully use up the vertical space with drawers. Or, if the space isn’t big enough, you could fit shelves instead. Many beds now come with storage compartments beneath. However, these aren’t the only pieces of furniture that can double up as storage devices. A coffee table may have the option of a book case underneath. You can place hooks on a wardrobe for hanging extra clothes on if the inside is full. You can even get sofas and armchairs that incorporate storage space underneath – great for storing those newspapers and DVDs. Items that are magnetic can be creatively stored using a magnetic wall strip. 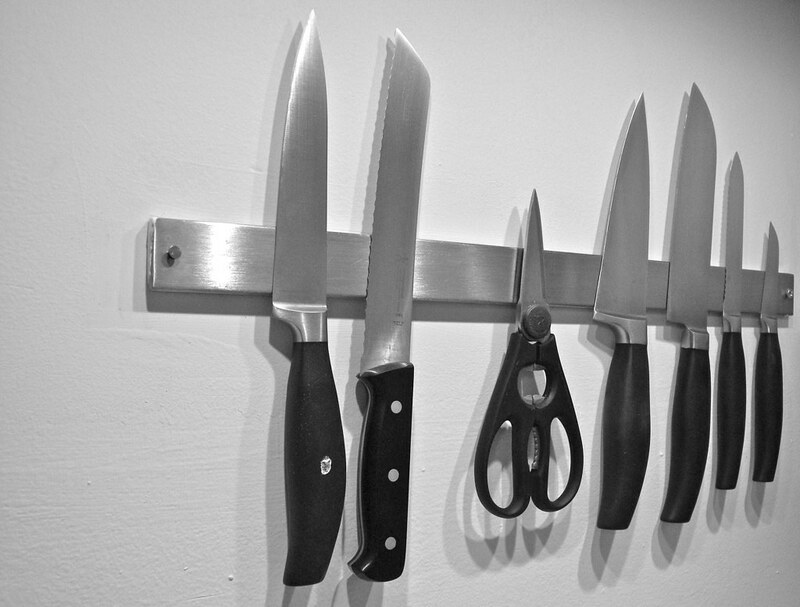 In a kitchen, this could substitute a knife rack, allowing more countertop space. In a bathroom, this could save up on storage space for nail clippers, files and tweezers. 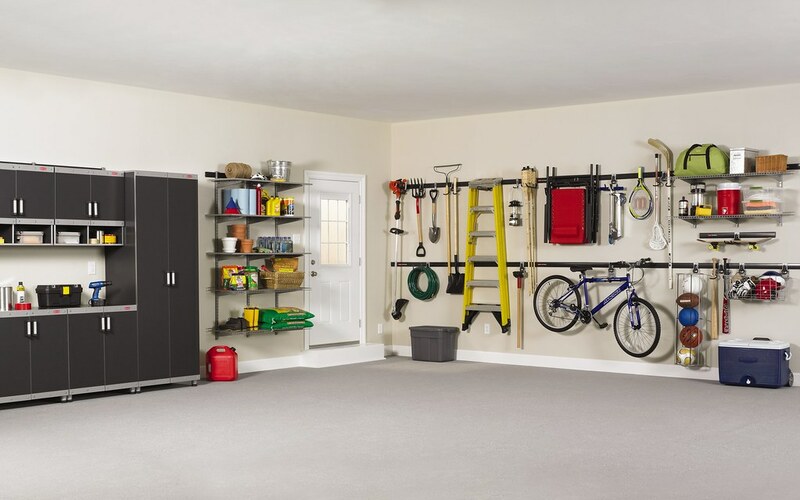 If you have a garage, you could even hang your tools this way, eliminating the mess of a toolbox. For serious hoarders, those that have inherited extra furniture or those that are downsizing, sometimes renting storage elsewhere can be your best option. This is particularly useful for bulky seldom-used outdoor gear such as fishing rods, bikes, sports equipment and suitcases, but you can also use storage containers to move in inherited furniture whilst you decide what to do with it further. You could also use rented storage to clear out your attic or garage and convert this space into another room. If you have a growing family, this might be the most ideal solution, saving you from having to buy a bigger and more expensive property. The disadvantage with container storage is that you do need the extra funds to pay for the rent. However, this may still be a more financially practical option than upsizing. Also look out for cheap rented office space and neighbours renting out their garage.